Company and Commercial Gardens can effectively utilize hedges to create an appealing atmosphere around any business. Restaurants, offices, spas, municipal parks, and universities, to name a few, can provide elegant, professional entries and peaceful, private outdoor spaces for their clients to enjoy by using hedges in their landscape designs. Hedges planted near an office building can also have a significant impact on energy conservation. 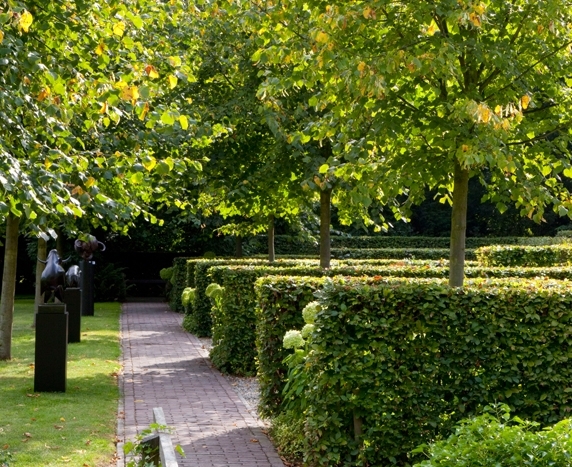 Contemporary Gardens can use hedges in a myriad of ways. Hedges blend seamlessly with hardscape elements like sculptures and glass art, which are major features in most contemporary landscape designs. Water features such as fountains and pools are grounded and stabilized by surrounding hedges. 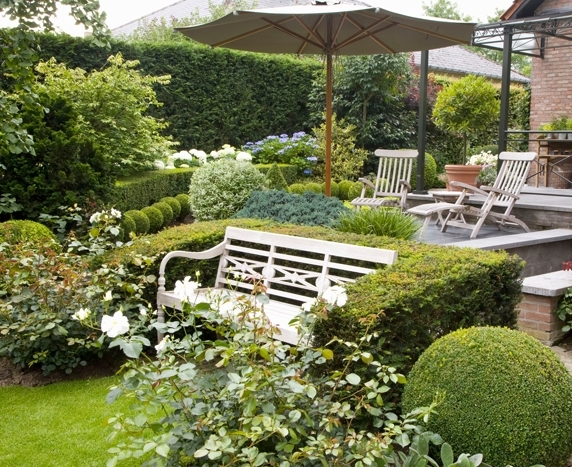 Curved hedges add intrigue, leading eyes and feet toward different areas of a garden. This is also a great place to use contemporary planters. Container Gardens have been an increasingly important landscaping tool with living spaces getting smaller and smaller while our need to have plants growing around us is getting greater and greater. 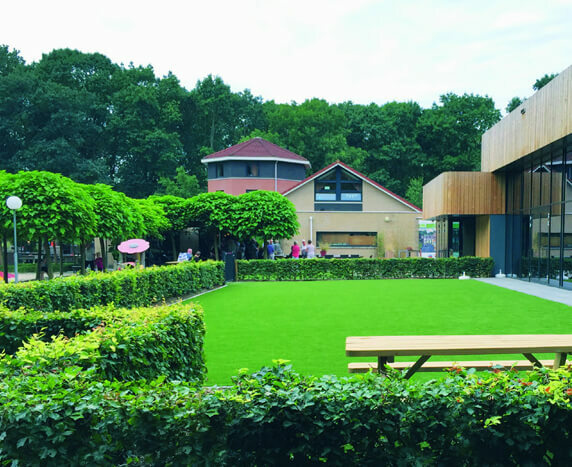 Growing things in pots and planters has enabled us to develop green roofs and have lush landscapes even on the smallest urban apartment and townhouse balconies. 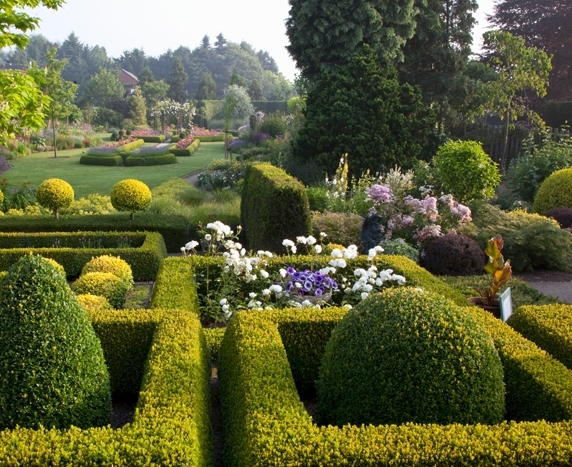 Formal Gardens are a centuries-old concept of shaping hedges into crisp lines and patterns to create breathtaking, intricate designs. They are typically a defined space with paths radiating out from a central focal point, like a fountain or sculpture. They can have traditional, renaissance-type designs or they may be very modern. Both styles use the same principles of clean lines and patterns, so they blend well together. Knot Gardens Knot gardens are versatile, and they work well in many garden styles. They are a classic choice for Cottage Gardens, forming a structured border around casually abundant mixes of flowers and herbs, as well as flowering trees and shrubs. They are equally traditional in a Formal Garden, with intricate designs that can mimic those of Versailles. 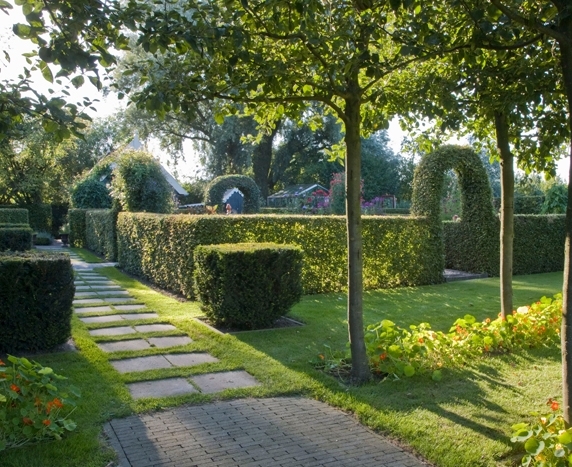 Formal Knot Gardens complement stately trees, topiaries, and sophisticated flowers and shrubs, as well as fountains, sculptures, or other hardscaping elements. 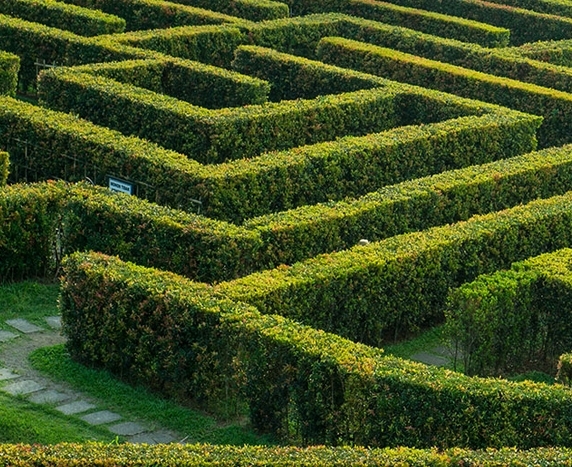 Maze Gardens Garden designers have been creating hedge maze gardens for illustrious clients (famously including royalty) for thousands of years. They originally served a practical purpose, but eventually became simply fun puzzles to challenge garden visitors. 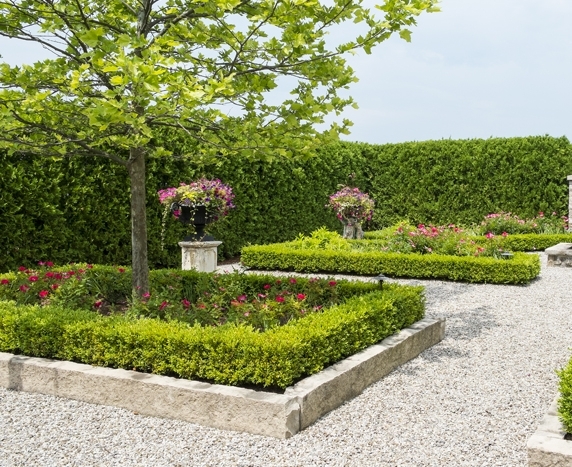 Modern Gardens favor clean designs with geometric shapes, which are easily achieved by using low boxwood hedges. They can be very formal designs or have a more casual yet crisp “Scandinavian” style. 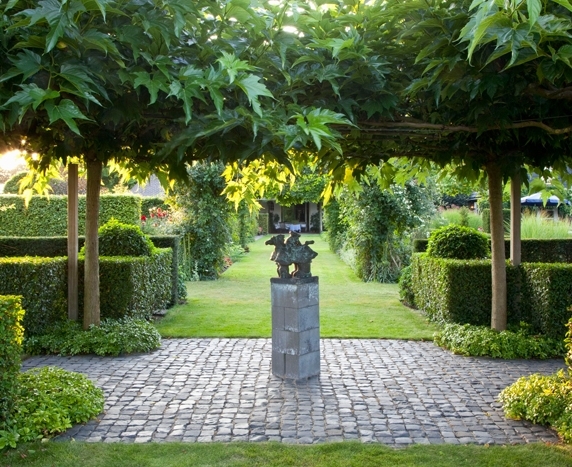 Tall hedges are often used in creative ways in modern landscaping, like by clipping into arches or other interesting hedge sculptures. The modern style is suitable for both very large and very small spaces. Suburban Gardens have many different uses for hedges. Privacy is essential, and hedges are the most beautiful way to achieve that while also buffering noise and wind. Hedges are also an effortless way to add curb-appeal. They can be used thoughtfully to make a small space more useful and seem larger by creating garden “rooms” around plantings and lawn spaces. 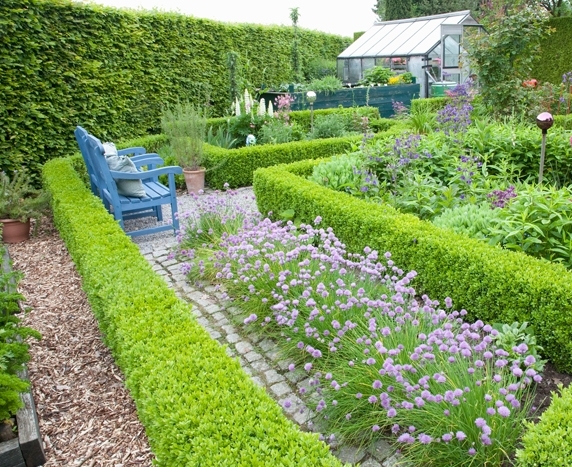 Hedges are also an excellent way to highlight flowers and other plants in the landscape. Driveways and patios are given instant peace, beauty, and privacy when lined with hedges. Urban Gardens present special challenges, as they require all plants used in the limited space to be multifunctional and versatile. Plants that thrive in containers are important, and tolerance of pollution and foot traffic are huge bonuses. Hedges provide privacy without taking up much space, and are a valuable addition to any urban landscape, including courtyards, balconies, and green roofs. They do well in planters and make beautiful borders around urban vegetable and herb gardens.